Our Earth's Secrets Organic Clear Melt and Pour Soap Base is made in the United States with natural ingredients. 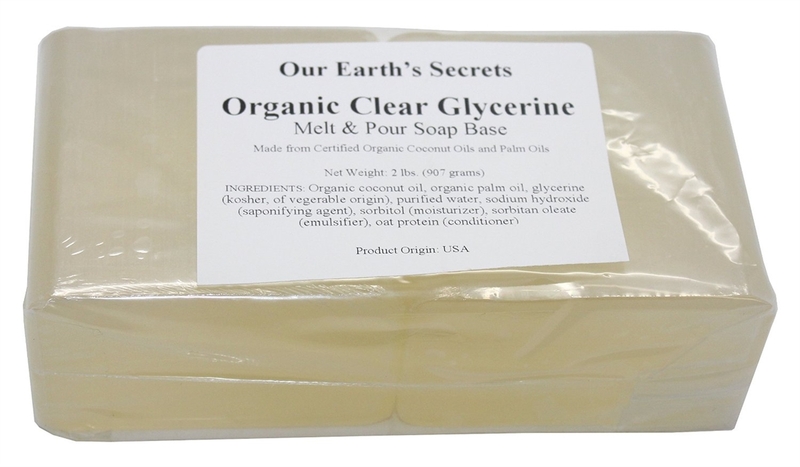 Ideal for face, hands and body. 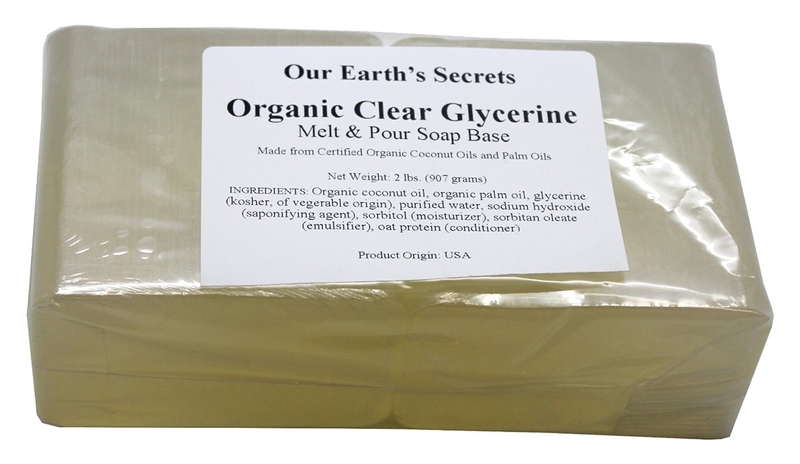 Certified Organic Oils of Palm and Coconut have been used in our regular clear formulations. 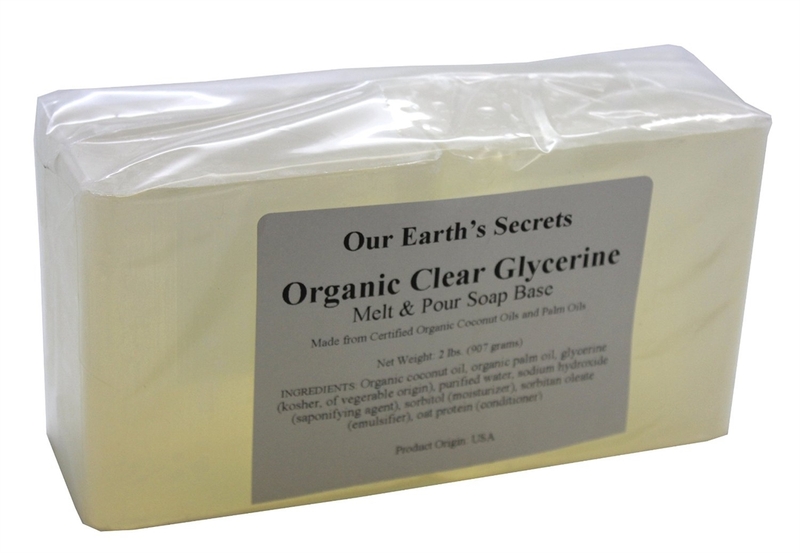 Please note these are made with organic oils but are not certified organic soap as a whole.